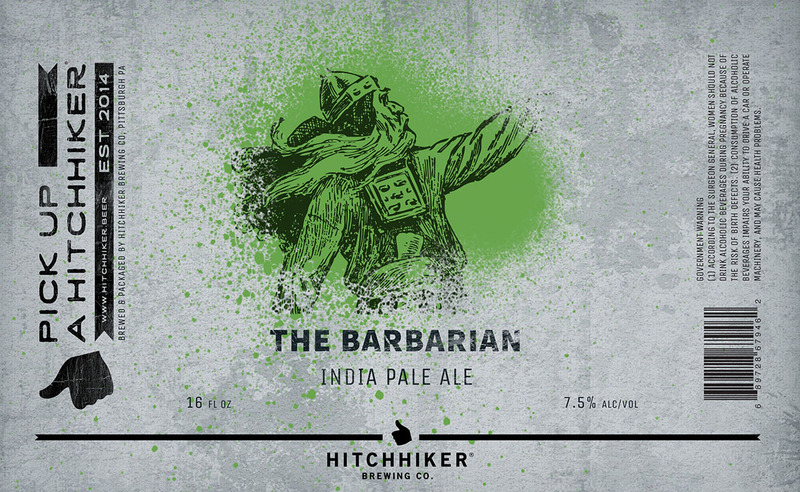 The Barbarian | Hitchhiker Brewing Co. Brewed with Oats and Spelt. Hopped with Mosaic, Amarillo, Simcoe, and Denali. Notes of pine, lemongrass, blueberry, and mango.